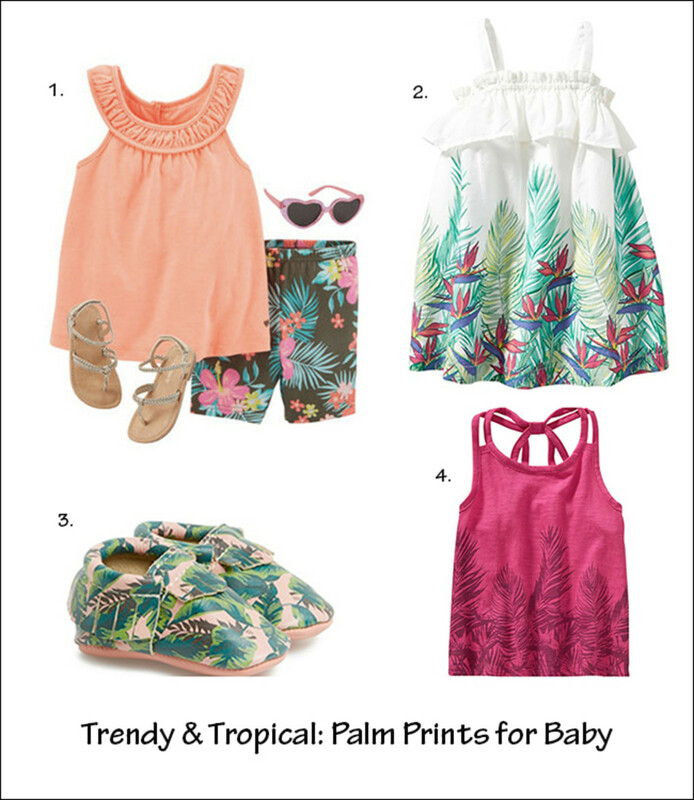 I’m totally on board with the whole tropical trend that’s happening in fashion right now. Pineapples, flamingos, palm leaves—you name it, I’ll wear it. And I’ll dress my kids in matching styles too. I spotted this Hawaiian-inspired baby outfit at Carter’s, and, of course, little P had to have it. First and foremost, it’s practical. We’re in the midst of a serious (Hawaiian-inspired?) 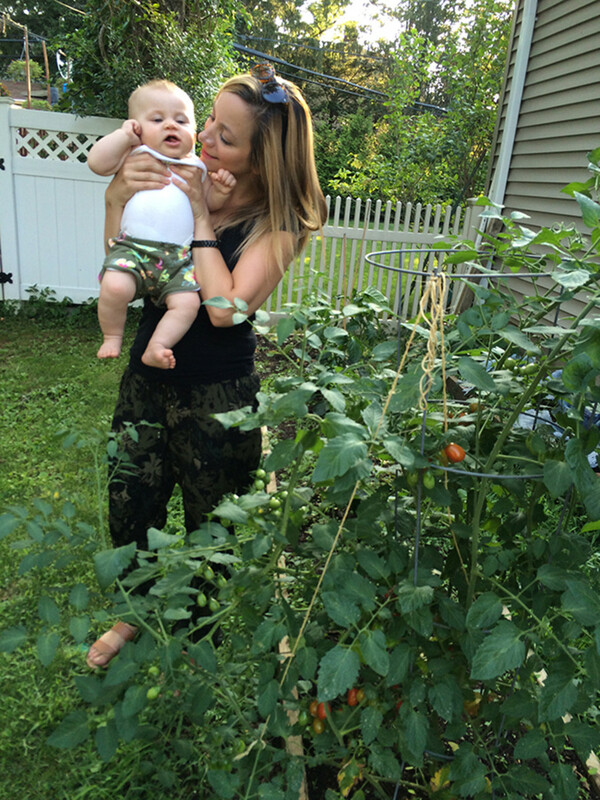 heat wave here in the NY metropolitan area, so my perpetually sweaty little love-bug requires outfits that are easy, breezy, lightweight, and comfortable. The fact that it features a palm print? Well, that’s just an added bonus! 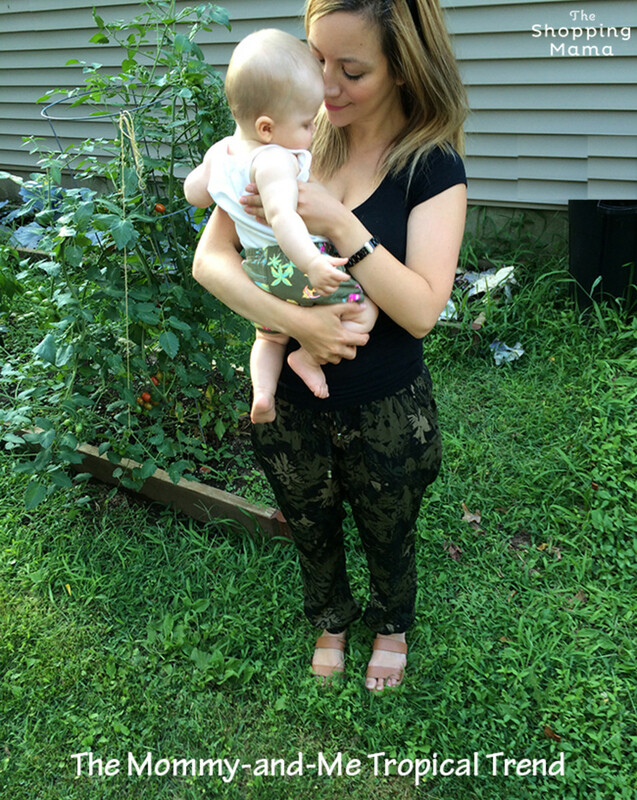 Of course, these are not your typical “tropical trend” pants. The pattern is a little more subtle (it almost looks like camouflage), and instead of being light and bright, they’re black with olive tones. It’s a darker twist on the tropical trend, and I like it! 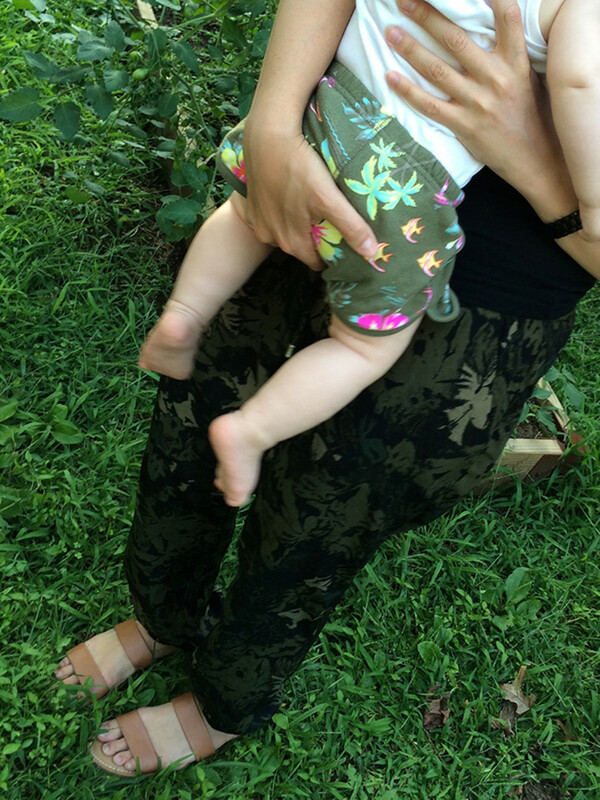 In fact, I think it will be totally acceptable to wear them well into the fall—which I guess means I’m going to have to find another, more "autumny" matching outfit for my mini me too! 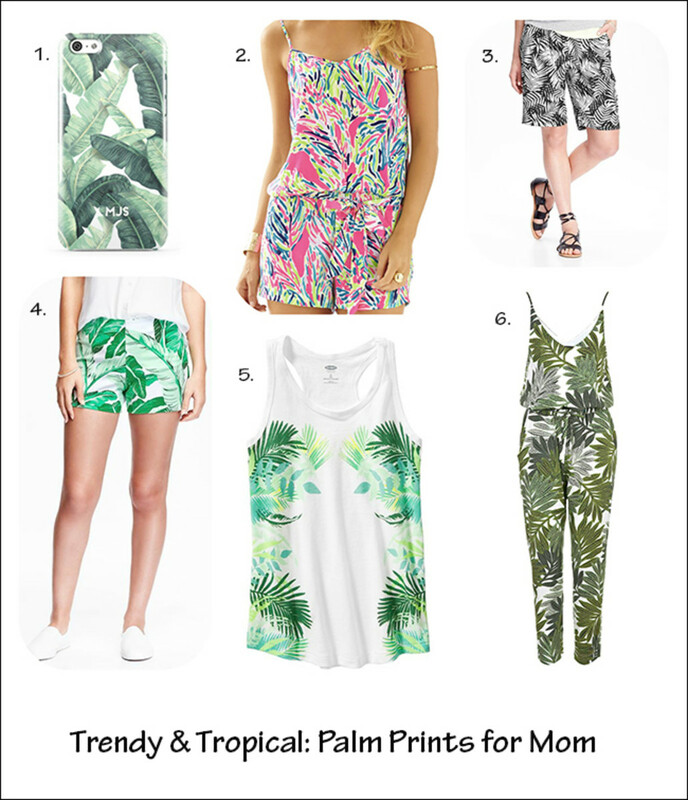 I’ve rounded up a few fabulous palm-leaf fashion finds for moms and their munchkin models to wear all summer long... Because, it’s hot out there and the only way to embrace the tropical weather is with a totally cool tropical trend.